Since early 2010, when I posted Anecdotal Evidence: Serious Games As Persuasive Game-Life Integration, sharing my reflections on Jesse Schell’s superb presentation Design Outside The Box at DICE 2010, I have been deliberately detached from the “Serious Games x Gamification” discussion. As the Serious Games Market was starting to be formed, I would have turned to the Chaos Theory that fully applies to major step changes, when discontinuity prevails. In the beginning all you've got are fractals, without any bonding. Therefore, at the early stages, inclusiveness could make an incipient community gain critical mass and visibility - e.g. for the SG Market could imply welcoming Simulations, Board Games and Collaborative Storytelling, as opposed to Serious Games stricto sensus. The more radical the change and the greater the anticipated reach, the more chaotic is the process. The Chaos Theory welcomes this sort of 'mess' as an inherent aspect of the transition. At that point, there were so many (and powerful) forces intervening in the SG market formation, that "struggling for survival" behaviors often showed up, the same way they do when restructuring corporate governance. In addition, I am also a believer of Richard Tanner Pascale’s (my late nineties mentor) approach to Polarity Thinking and what he called “Contention Management”, which seeks to harness the conflicting energies in an organization (in this case the SG community) to achieve positive change. However, a recent article has broken through my "it's all about inclusiveness" stand: What the Future of Gamification in the Workplace Looks Like by Tony Ventrice, a veteran game designer with a career of applying game-design techniques to emerging markets. Tony is eliminating “customers” from the equation. He states that corporate employment at all levels is experiencing a crisis of engagement and the workplace provides compelling material for a story. It’s a story of cooperation, competition, advancement, failure and success. “Gamification is fundamentally about telling a story and provides a means to remember, and people—employees—want to remember”, he adds. “Employees and companies want to feel part of a larger story and successful businesses recognize the power in a unifying sense of greater purpose”, he says. But building a comprehensive gamification, enterprise-wide program, what he calls “the fully connected corporation”, is not something he sees fully realized in 2015. He believes that vendors that make the strongest moves in this direction will be the ones that make gamification a legitimate industry in the future. Recognizing that a one-size-fits-all solution wouldn't work, Tony Ventrice also states that although highly-targeted Gamification cannot be made to order, which would imply a services heavy-business with higher costs, reduced margins, slow growth and multiple points of failure. As a business model, inferior to self-service. He predicts that to support a self-service model, gamification will become “wizardized”, which translates to prepackaged best-practices, complex decisions reduced to manageable choices, and integration eliminated or automated. 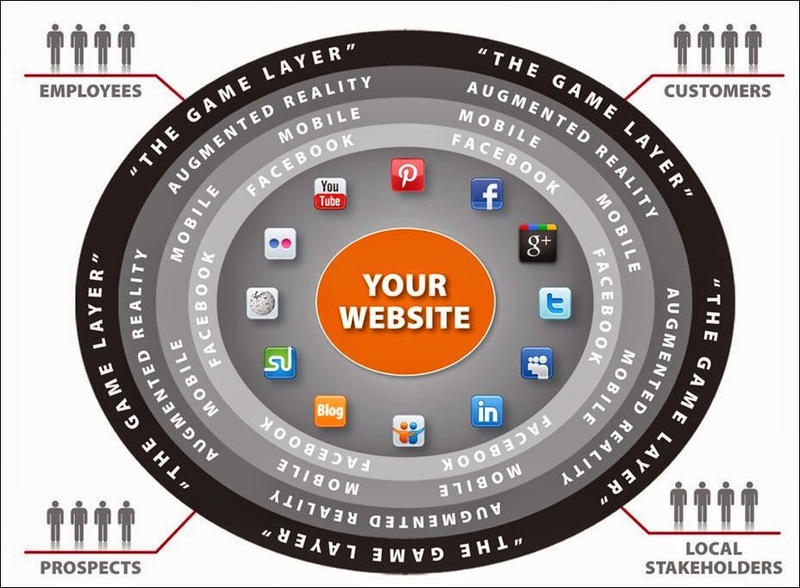 To grow as an industry, gamification must become increasingly "plug and play." Ventrice anticipates that more sophisticated analytics engines shall be offered coupled with vendors’ ability to predict and prepackage appropriate reports by use-case. Tony Ventrice wraps-up positioning Gamification as a specialized, difficult-to-convey science heading towards legitimacy.